Jiaxing Huang from the Northwestern University is all set to reignite carbon nanotube study, and he plans to do so with a common chemical that was formerly used in household cleaners. By using an economical, already mass produced, basic solvent known as cresol, Huang has revealed a method to disperse carbon nanotubes at extraordinarily high concentrations without the need for harsh chemical reactions or additives to alter the nanotubes. In an unexpected twist, Huang also discovered that as the nanotubes’ concentrations increase, the material changes from a dilute dispersion to a thick paste, then a free-standing gel and lastly a kneadable dough that can be designed and molded. The research was published online on May 14 in the Proceedings of the National Academy of Sciences. Because of their exceptional mechanical, thermal and electrical properties, carbon nanotubes have attracted a lot of attention for a number of applications. But after decades of research and development, some of the excitement has faded. The reason? Carbon nanotubes are particularly complicated to process—especially in large quantities. About 10,000 times thinner than a human hair, the wiry, tube-shaped structures are said to be more robust than steel and conduct electricity and heat a lot better than copper. But when mass produced—typically in powder-form—the tubes twist and clump together. This complication is a huge barrier to the material’s extensive applications. So as to sidestep this issue, previous researchers utilized additives to coat the nanotubes, which chemically changed their surfaces and made them separate. Although these approaches do work, they tend to leave behind residues or modify the nanotubes’ surface structures, which can dull their desirable features. By contrast, Huang’s team discovered that cresol does not weaken carbon nanotubes’ surface functions. Besides, after separating the entangled tubes, researchers can just eliminate the chemical by heating it until it evaporates or washing it off. 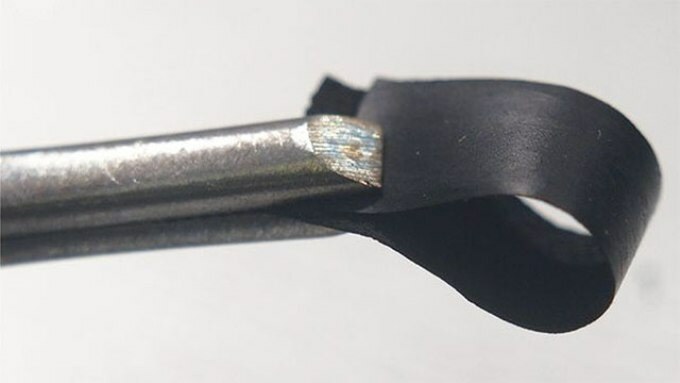 After revealing a new method to create carbon nanotubes in higher and higher concentrations, Huang and his team discovered novel forms of the material. As the concentration of carbon nanotubes grows, the material changes from a dilute dispersion to a spreadable paste to a free-standing gel, and lastly to a kneadable dough. These different forms can be molded, reshaped, or employed as conductive ink for 3D printing.